Wow what a ton of fun. We beat the Steampunk room with ten minutes to spare! Then for the rest of the night about half our conversations were about how much fun the room was. Really want to try the retro arcade/Pixels room. Great time. Your very wealthy and eccentric great-great-great Aunt, Val Voleen, has left her $27 million to any relative who is witty enough to solve a series of clues, puzzles, and gadgets built by Nikola Tesla himself. She died July 27, 1914 and four generations have failed the test. Now it's your families turn to "earn" the money. Can you successfully acquire her last will and testament, or will you leave empty-handed like the generations before? Reviews of escape game "Steampunk 2.0"
Took my family to the Steampunk room. We had so much fun we stayed and did the Game Over room too. Great family-friendly fun!!! My husband and I did a room, just the two of us. We were worried there'd be no way we could do it but we finished with a couple minutes to spare. It was so much fun, challenging but doable. It was a birthday surprise for me and I loved it! My family and I did the Steam Punk escape room Thanksgiving Weekend 2015. We had a great time! 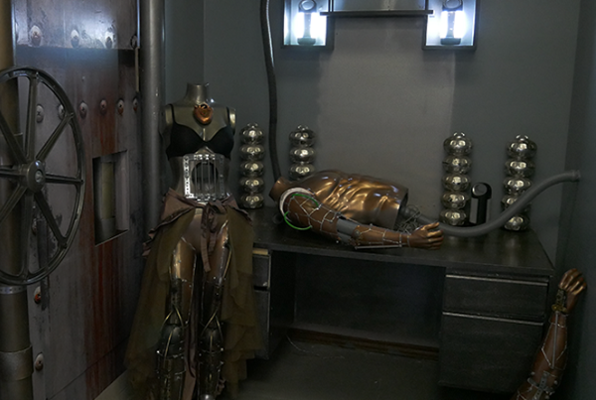 I've done a few different puzzle rooms before but the props and systems in the Steam Punk Room were better than anything I've ever experienced. Fantastic quality and detail. Worth the money! This place is wonderful! We'd gone to another escape room in town, but Xcape beat them hands-down for creativity and fun. The staff are friendly, organized. .. my family and I had a Great time!